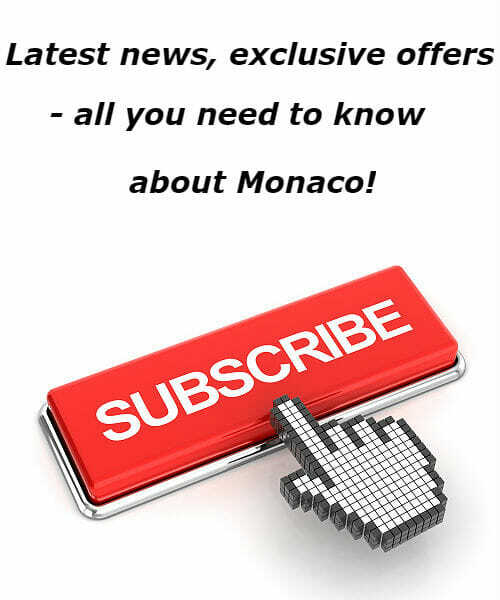 We selected for you top 5 yacht stories of the last week at Yacht Harbour . 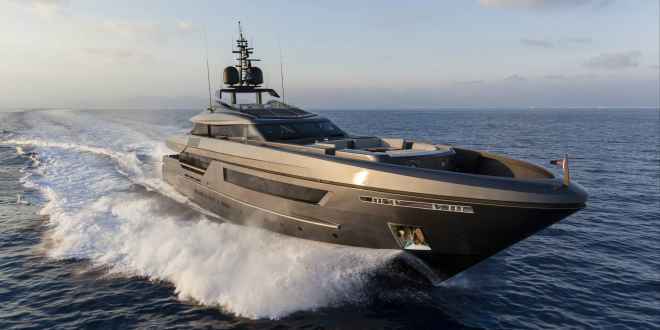 Baglietto, the Italian-based shipyard with headquarters in La Spezia, has announced the sale of the 46m Fast to a Mediterranean owner. 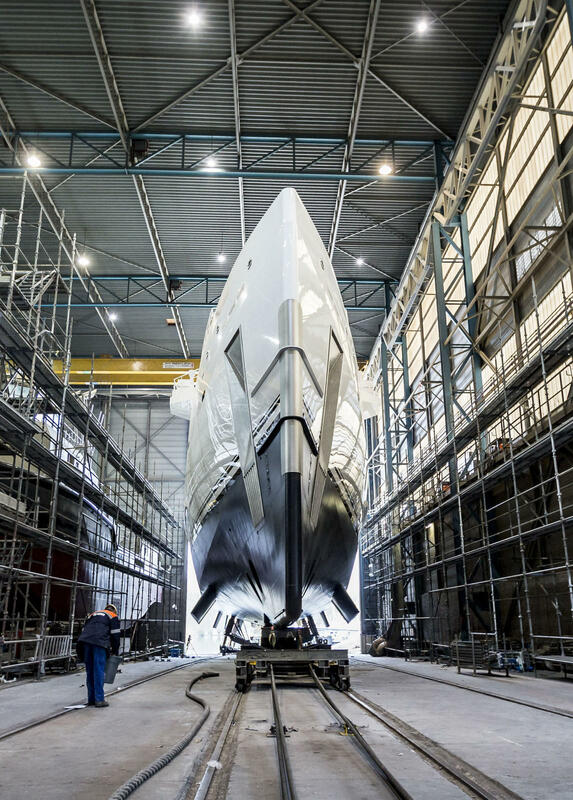 The superyacht, which was launched in May 2016, will be named Lucky Me. Performance wise Lucky Me, entirely built in aluminium, can reach a maximum speed of 26 knots thanks to twin MTU 16V4000 M93L engines; one of the most important naval characteristics is the reduced draft of 2,10m and for this reason she can easily cruise in shallow waters. The yacht is classified with Lloyd’s Register of Shipping and compliant to MCA standards. Lucky Me will attend the Versilia Yachting Rendez Vous from 11 to 14 May before leaving for the Summer cruising around the Med. It seems that Dilbar became one of the main attractions in Barcelona in line with the Sagrada Familia and Park Guell. Dozens of people come to OneOcean Port Vell to admire this Lurssen masterpiece while she is still in town. 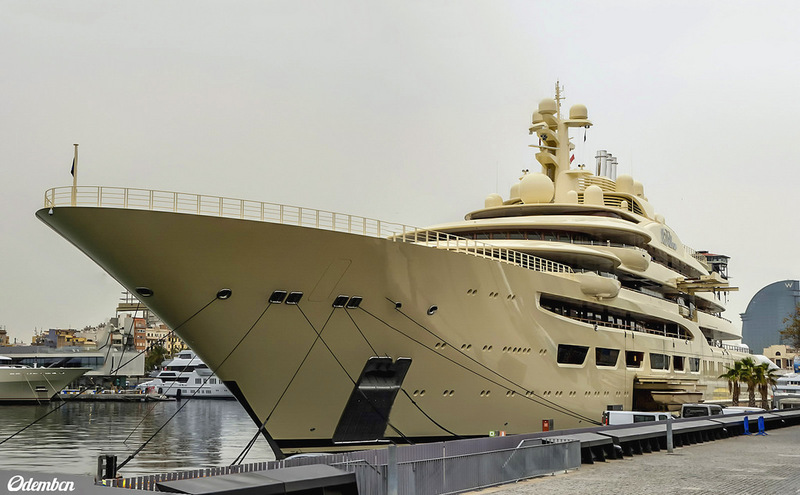 156m Dilbar, launched at Lurssen facility in November 2015, has officially become the world’s largest yacht by volume with a gross tonnage of 15,917 tons, toping Al Said’s 15,850 tons and Azzam’s 13,136 tons. With a beam of 23 meters and a deep draft of 6 meters, the yacht’s exterior was designed by Espen Oeino. Cabling used on board stretches over 1,100km with guests and owner’s spaces totaling a combined 3,800 square meters of living space. The displacement yacht has a steel hull and aluminium superstructure, her interior was styled by Andrew Winch Design. 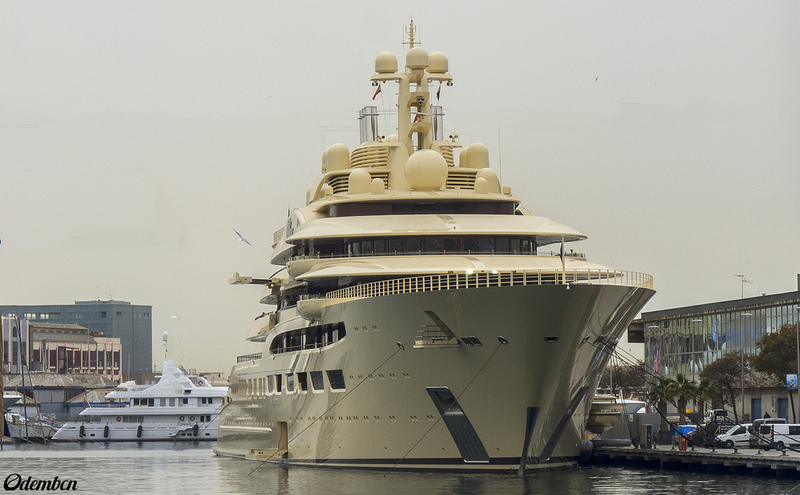 The same day Dilbar arrived in Barcelona, it was announced that a 160m berth was sold in the marina. In June 2015 it was announced that yet another superyacht with a name inspired by a James Bond movie would be built, the 69-meter Spectre. The order for the vessel was placed by American businessman, John Staluppi as the owner’s 7th yacht. The yacht, currently under construction at Benetti, features an exterior style by the Italian yard in collaboration with Giorgio Cassetta Design, whilst Mulder Design is responsible for the naval architecture. Featuring a steel hull and aluminium superstructure, Spectre offers a 20 to 30% higher speed, without the use of excessive engine power or light-weight construction than a conventional displacement hull, thanks to the Mulder Design High Speed Cruising Hull. Performance wise she can provide a top speed of 21 knots and achieve a range in excess of 6500 nautical miles at 12 knots. Project Spectre is scheduled to be delivered to the owner in mid 2018. 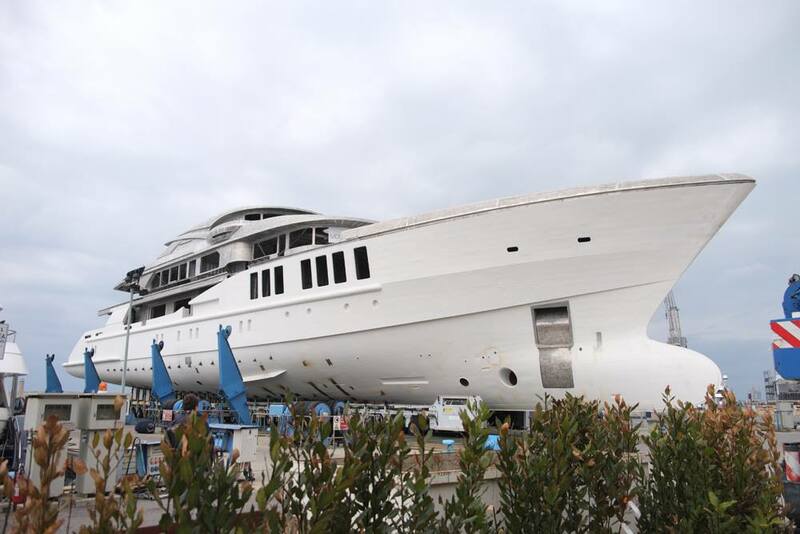 Benetti also has 63m Project Balance, known as FB276, under construction at Livorno facilities. 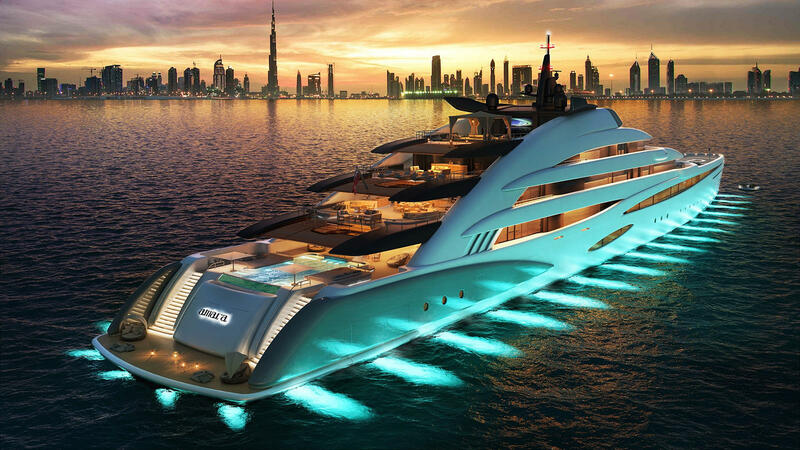 Oceanco has revealed its latest superyacht concept, 120m Amara, during the Dubai International Boat Show. Designed in collaboration with Sam Sorgiovanni Designs, she provides unparalleled living and entertainment facilities for up to 20 guests. The contemporary interior with natural timber, stone and textural carpets and fabrics blend to create a natural environment. The lower level deck opens up to reveal an expansive beach club that offers 3-way access to the sea; port starboard and aft. Also on this deck is a wellness area with banya, hammam, beauty treatment lounge and a cinema for 16 persons. A waterfall from the upper deck cascades down into the main deck swimming pool. And the main deck is party central, featuring a pool bar, opening balconies and large entertainment areas. The upper deck has an owner’s apartment with a private plunge pool and open-air aft deck dining for 20+ people. The gym with a capital view is located on the bridge deck. In addition to the cinema on the lower deck, there is a quixotic cabana style open-air cinema on the sun deck. 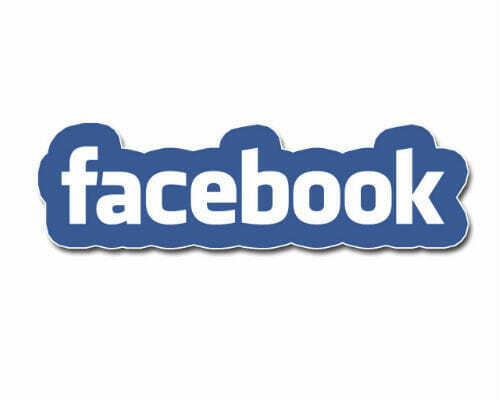 There are also accommodations for fun sports equipment such as a climbing wall and water slides. 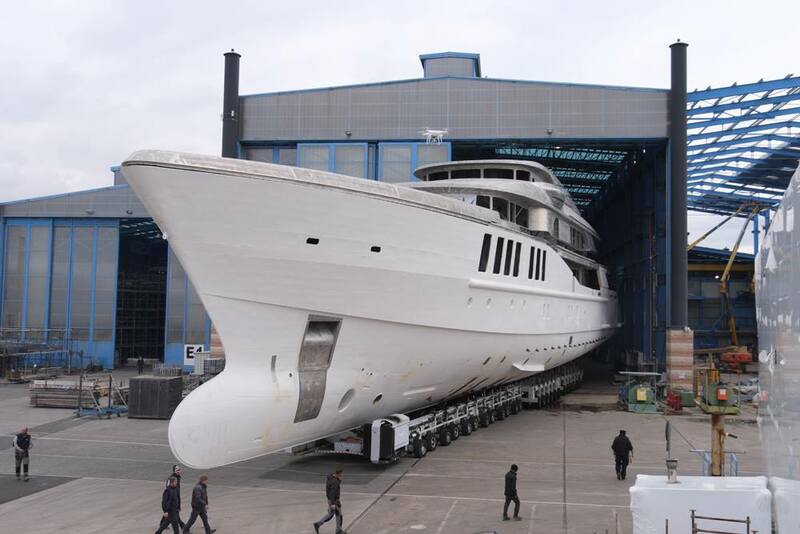 On February 6, Oceanco has launched 110m Project Jubilee (Y714), that is the largest vessel ever built in the Netherlands. 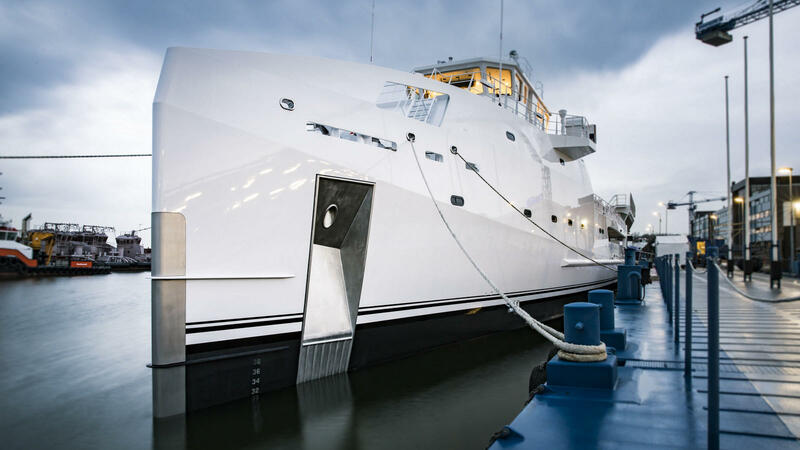 Dutch shipbuilder Damen has launched Game Changer, its latest 70-metre yacht support vessel with helicopter hangar. 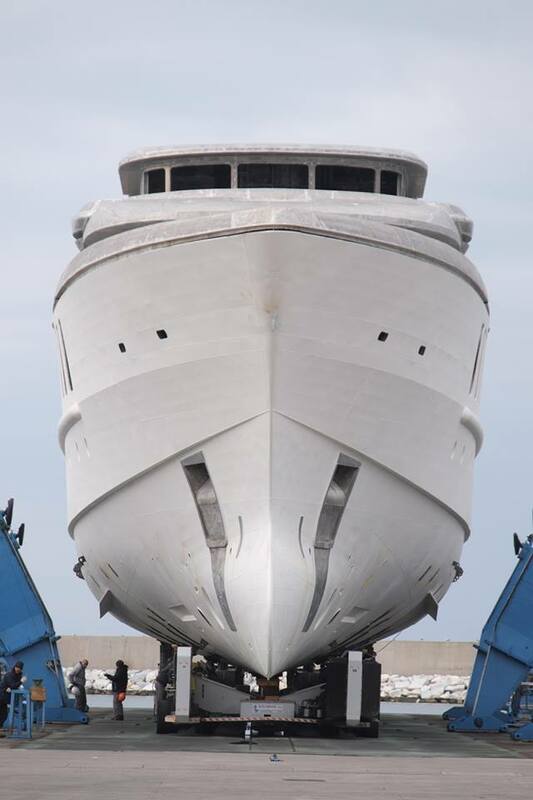 Game Changer is the fourth yacht support vessel in the 70-metre segment following the delivery of Intrepid, 6711 and Garcon. This latest launch also follows last year’s delivery and sale of the 55-metre showcase vessel Fast & Furious. With its yacht support range, Damen is now the established leader in this rapidly developing niche. In total 11 vessels have been delivered or are in build. 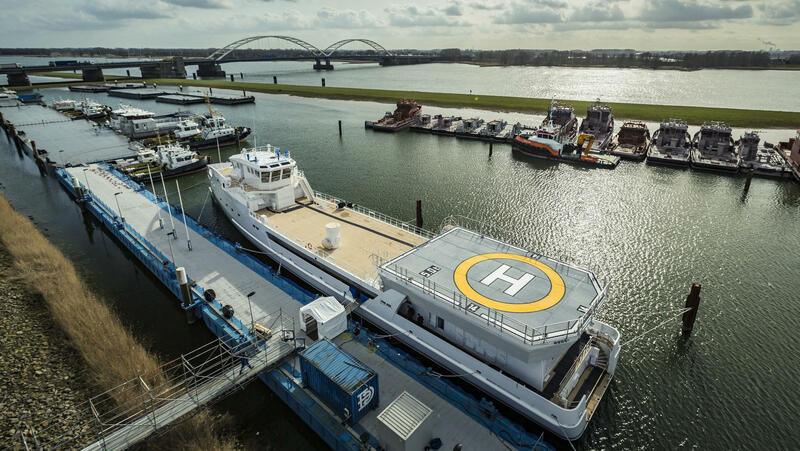 The vessel features a fully certified helideck so owners can take larger helicopters on long range flights to their mother yachts and land safely in a wider weather window. Lowering the helicopter into the hangar protects it from the elements so it is refuelled and available for take-off without causing hassle, disruption and noise on the mother yacht.